Before his confirmation as Osage Nation Trial Court Chief Judge, William Oldfield met with the Congressional Government Operations Committee as part of the confirmation consideration process. 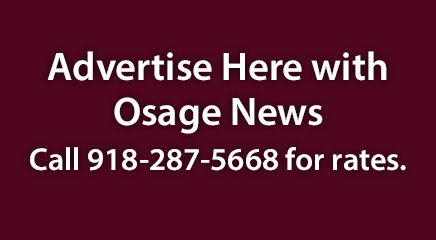 Principal Chief Geoffrey Standing Bear appointed Oldfield (Osage) to the post after predecessor Marvin Stepson retired in July 2018 when Osage government officials took their oaths and all three ON Supreme Court justices won retainment votes for another four-year term following the Nation’s general election. Oldfield, a Ponca City attorney, met with the committee on Sept. 21 during the Congressional Tzi-Zho Session and fielded questions from Congress members at the meeting chaired by Congresswoman Shannon Edwards. Edwards read a summary of Oldfield’s professional experience noting he graduated with his Juris Doctorate from the University of Oklahoma in 2005 and his graduate thesis was a comparative study of the sovereignty of Canada’s First Nations, Native Americans and the indigenous Maori in New Zealand. As a practicing attorney, Oldfield has diverse legal experience representing clients in civil and criminal court cases as both plaintiffs and defendants, Edwards said. In a previous statement, Oldfield “opined he believes the Trial Court should be a place where all parties to a case feel comfortable addressing the court regardless of their status, education, or whether they have a lawyer,” she said. For undergraduate studies, Oldfield has a bachelor’s degree in mechanical engineering from Oklahoma State University, Edwards said before adding a quip: “You’re an internal house divided?” in referring to the OU and OSU school rivalry. Oldfield answered, “that is correct” as he greeted the committee with a chuckle. Congresswoman Maria Whitehorn asked Oldfield if he’s looked at the Nation’s court system and practices and his thoughts on the court system and possible contributions. Oldfield said in meeting with Drent, he asked if it was appropriate to attend general judicial and jurisdiction training before hearing cases. Drent and Trial Court Associate Judge Lisa Otipoby-Herbert agreed and recommended training available in Reno, Nevada at The National Judicial College with classes starting in October, Oldfield said. Oldfield said Trial Court Associate Judges Otipoby-Herbert and Lee Stout have been supportive, as well as court staff in their introductions. He said he has spent time reading Osage law and judicial rules. Oldfield said he viewed a 2017 assessment of the Trial Court, which consisted of an evaluation by three Native attorneys to provide summaries on the court’s strengths and areas recommended for improvement. Oldfield also noted legal documents including Supreme Court case opinions, the 2006 Constitution and Osage code were all easy to locate online. Edwards asked Oldfield how many civil trials (jury and non-jury) he’s had as an attorney. Oldfield said he could not give an exact number for civil cases, which went through the discovery period before a pre-trial or trial. Jury trials are less frequent and memorable for Oldfield who recalled working an Osage County jury trial for a condemnation case. Oldfield added there were cases where he served as second chair attorney in assisting, which included picking jury members for an environmental spill case. In federal court, Oldfield recalled working a 2017 respondent’s case on a declaratory judgment action under an insurance policy. He also took another federal case regarding a contract dispute also heard in the federal Western District of Oklahoma Court. Edwards said her question was to get a sense of how much trial experience Oldfield has for the constitutionally-mandated Trial Court Chief Judge post. Edwards recommended Oldfield visit with Attorney General Holli Wells on issues including due process, which she believes is an issue nationwide. “My biggest concern in this court and throughout Indian Country is that we provide due process to our folks … when a defendant’s in jail for 10 days and hasn’t been arraigned, I consider that a due process problem, so I want to make sure you are aware of some issues that might be in our Trial Court and that you will vow to me you will do everything you can to make sure every defendant in the custody of the Osage Nation is given all the due process that he or she deserves and requires,” she said. Oldfield responded: “I don’t think there’s a more important part in our constitution, especially for a criminal or defendant in Article IV, Section 3 (Inalienable Rights of Osage Citizens), what you’re talking about – due process, right to be free from unlawful searches and seizures – many of those things that mirror the United States Bill of Rights are found (in that section) and I wouldn’t be worth my salt if I didn’t have those earmarked,” he said. “The Trial Court’s job is to look at the case and controversies in front of it. 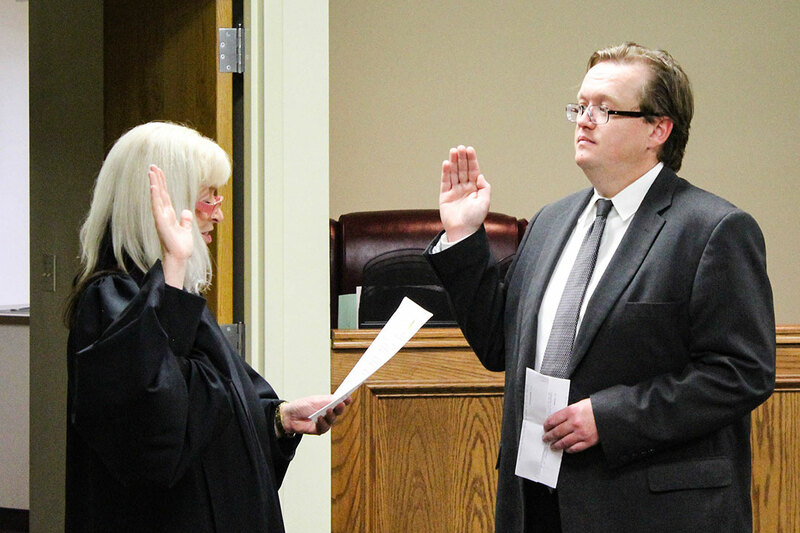 On Sept. 26, the Congress voted with a unanimous 11-0 vote to confirm Oldfield for Chief Trial Court Judge. Per the constitution, Oldfield will be eligible for a retention vote for another four-year term in the 2022 election when his initial term ends.